Potty training requires patience, persistence and for many kids, presents. If your little one responds well to rewards and incentives then make them part of your potty training plan from the beginning. You don’t have to buy an expensive reward chart or packaged kit. Instead, create incentives that fit your child’s personality and preferences, and be sure to include them in the process so they are excited to reach their potty training goals every day. Here are some ideas to create rewards that will help make your potty training journey successful and fun for both you and your child. Just remember – don’t make your little one wait too long for a treat. It will be easier for them to understand if the reward is immediate. Old-fashioned sticker chart – Does your child have a favorite television character, an animal they love or an obsession with things like cars, trucks and trains? Whatever your child’s passion is, there is probably a sticker for it! Draw a sticker chart grid on poster board and allow your child to decorate it. Let your child place a sticker on the chart every time they successfully go to the potty. Popsicle® stick basket – Take a bunch of Popsicle® sticks and write a special activity reward on each one. You can pick activities such as remembering to go potty, putting on their Pull-Ups by themselves, going potty in a new bathroom – all these successes are worth celebrating. Place the sticks in a basket and let your child pick a stick after they successfully perform that activity. Bathroom science – Going to the potty can also be a fun science experiment. Let your child put a few drops of food coloring in the toilet water after they pee and watch the color change. They can try a different color each time and see how the result differs depending on the color. It’s simply magic. Piggy bank – You may not want to pay your child to go to the potty, but you can reward them with a penny each time. For a young child, putting a penny into a piggy bank, or a small mason jar, can be thrilling all on its own. Once they get to five pennies you can give them a nickel, and so on. Count it with them at the end of each day and celebrate their achievement. Silly story time – Keep a pile of board books by the potty so your child can “read” while doing their business. If they’d like company, make this time a story time where you read aloud with your child and help them pass the time and not be anxious about going. Make this a bonding moment for both of you – this can set the tone for your parent and child relationship. You can even make your own book! Incentives can be a powerful tool for helping your child achieve potty training success. 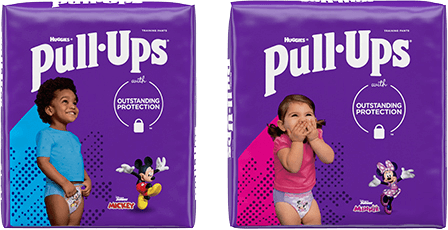 With small steps and constant reinforcement, your child will soon be on their way to potty training success.